I compounded my windshield using a wool pad and rotary to remove any traces of Gtechniq G1. Then I use CarPro Eraser, Kleanstrip Prep-All, 3M Wax & Grease remover, and Gtechniq Panel Wipe to remove any polishing oils or anything that was left over from compounding. Now every time it rains or get wet the windshield still beads water. My question is can polish glass be clean and still bead water? How can I tell if the windshield is perfectly clean or free of any polishing oils? Lordy, after using 4 prep products, I hope you've removed any polishing oils. What compound did you use? What is your concern, are you planning to coat the windshield with something else? I think it's possible if you polished the glass well that you could have beading even if there is no coating or polishing oils. when the glass is fully hydrophilic , no beadings, means all coat is gone. I tried what prep cleaning product that my friend and I had available. The compound wad Meguiars M101 & M105. The Gtechniq G1 was applied over 2 years old ago. Still holding up good. I want put another coating on the windshield and work with a clean start. I also tried Duragloss Squeaky Clean. I was thinking the same thing, If I polish the windshield that good I may be doing all this cleaning prep for nothing. I read a lot of horror stories with people distorting there glass using Ceriglass or Cerium Oxide. I'm not brave enough to try something that I may have to replace if I mess things up. 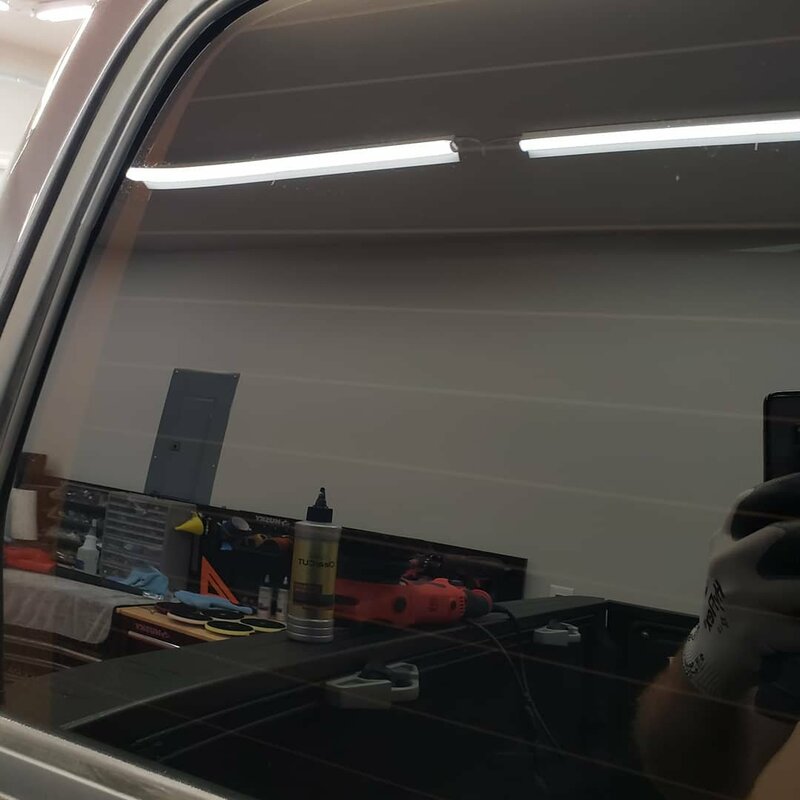 Carpro Clearcut works great on glass too, follow with essense then apply coating. 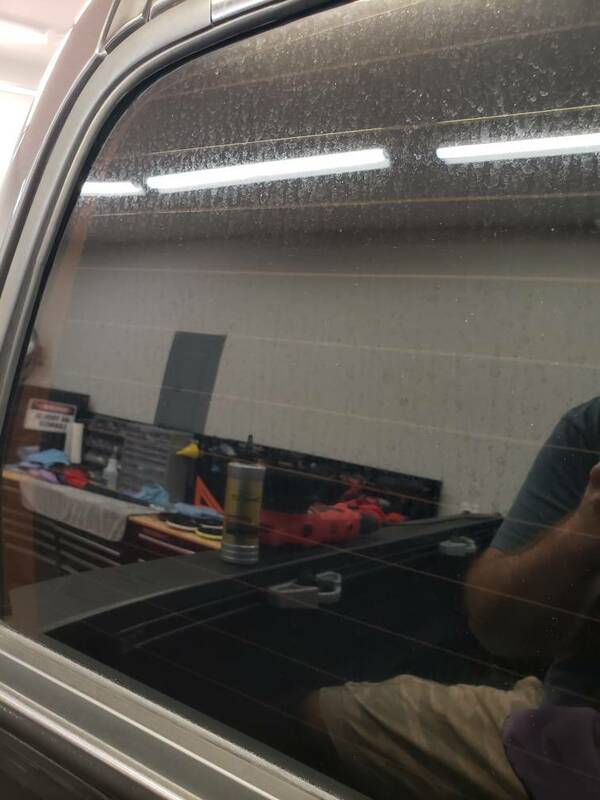 What was your main goal of this to clear scratches or prep for clean/coating it? Scratch wise, Ceriglass with the proper corresponding pad will be required to remove light scratches and wiper trails, etc. Been there done it and won't do it again. Was a complete PIA and not worth it. IMO, just smash the windshield and let insurance kick in. Did I say that? Anyway, in terms of water behavior, yes, once FULLY clean, that is polished with something like a good compound or polish and then wiped, the water should cling to the windshield like glue and form a very thick looking sheet of water that you could cut with a water blade. It won't sheet or bead but rather clings to it. If you see any areas still beading then re polish those. I did a video a while back and will see if I can find and link you to it. If all you're doing is cleaning it and prepping for a coating, just use any good compound or polish with a foam pad. I have super firm yellow hexlogic pads I've had for years that I dedicate to glass cleaning. Once you wash and rinse it after that just dry it and coat with something like McKee's 37 glass. I've tried just about all of the various coatings and McKee's is my go-to one for ease of use and zero issues in terms of wiper chatter, etc. Works great. That look good. Look like you used the Griot's Boss polisher. What pad or pads did you use? Main goal was to clean and prep for a new coating. I figure the Meguiars M101 and M105 with a wool pad on a rotary would remove the 2 years plus old coating. I guess not. But it did remove all of the water marks. Boss Microfiber Fast Cutting pad with Clearcut, then Correcting pad with Essence, then Cquartz UK 3.0. The pictures posted are just after Clearcut. diamondite glass resurfacing creme and LC glass polishing pad - what to do with it all?